the offering ceremony. Ample capacity. Silent and efficient. 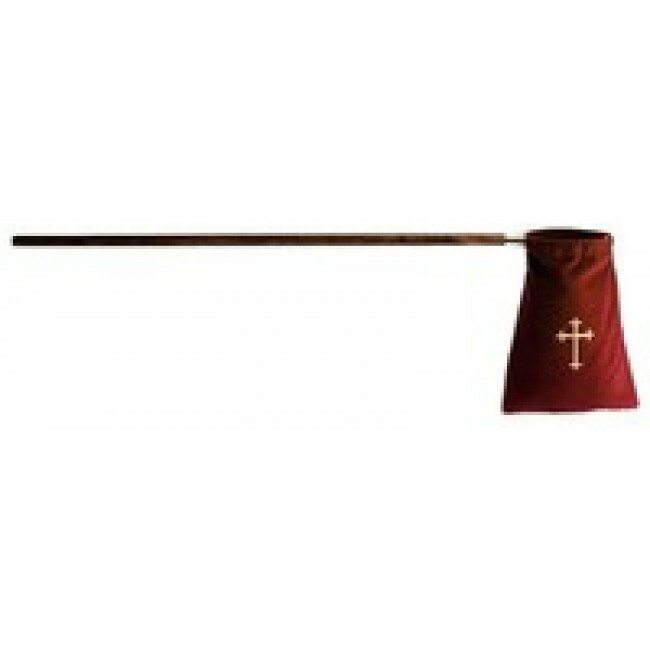 With embroidered cross, for 2 $140.00 pr. Sturdy velvet bag measures 10" x 12" decorated with embroidered cross on both sides. Bag is suspended from a 35" hardwood handle with brass fittings. Ample capacity and both silent and efficient. Can be purchased single or in pairs (discounted price). A fine addition for the offering ceremony.